I have not blogged previously about the biggest story which has come out of El Salvador in recent weeks, at least judged by the number of mentions in the worldwide press. 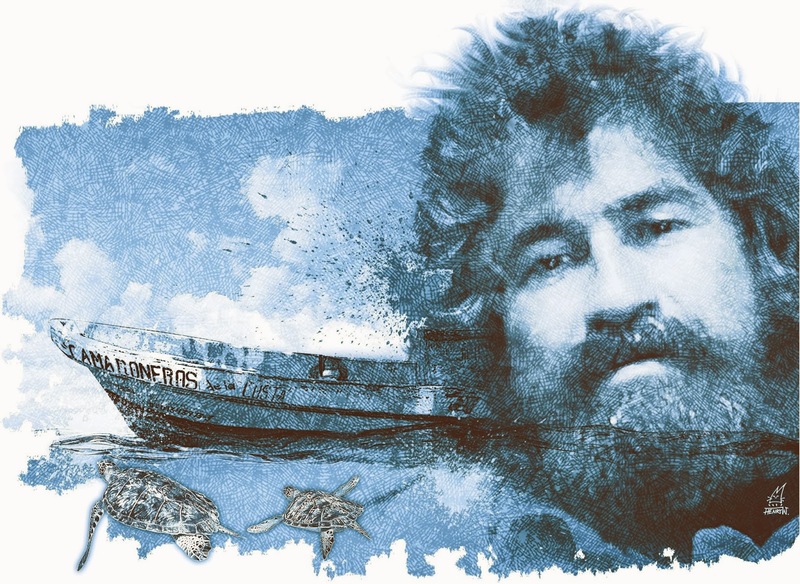 It's not the presidential elections, but the tale of José Salvador Alvarenga, a Salvadoran fisherman who allegedly survived 14 months at sea after his small fishing boat was caught in a storm off the coast of Mexico. He washed up on the shores of the Marshall Islands, thousands of miles away, with a tale of surviving off raw fish and turtle blood. You can read more about this remarkable castaway tale in stories from the Guardian, here and here. Our friend Carlos Colorado now shares this essay exploring Alvarenga's story and some of the deeper meanings it might have. During El Salvador's recent presidential elections, Salvadoran newspaper La Prensa Gráfica found a unique angle from the skies. LPG used a quadcopter to capture scenes on voting day as voters flocked to the polls in the Central American country. It's fascinating to see drones find more acceptance in journalism, but the story also serves to highlight the fact that US journalists currently are barred from doing the same thing. Here is some of the video taken by the LPG drone on election day. 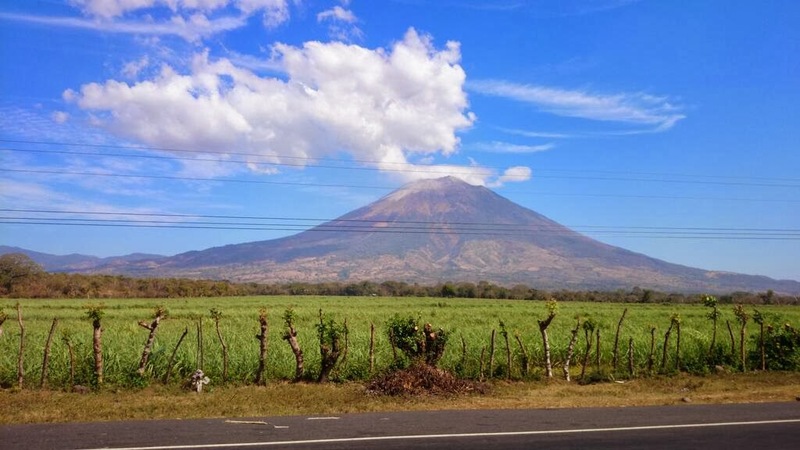 The Chaparrastique volcano near San Miguel, El Salvador, continues to show signs of activity weeks after its December 29 eruption. From the summit of the volcano, plumes of smoke with sulphur dioxide (SO2) continue to rise in the air. The monitoring station operated by the Ministry of Natural Resources shows that SO2 levels can rise to unhealthy levels when wind conditions are wrong. Scientists are also measuring micro quakes within the volcano, primarily on Chaparrastique's north slopes. As a result of this activity, the Ministry has been repeatedly including this sentence in all of its public statements about the volcano: Considering the current behavior of the volcano, the possibility of another eruption in the coming days through the central crater or its flanks cannot be ruled out. El Salvador's Supreme Judicial Court has ordered the country's top prosecutor to investigate one of the many massacres by army forces during El Salvador's civil war. Candidaturas%Votos48.92%38.95%11.44% Sánchez Cerén's 10 point lead represented some 266,000 votes more than Quijano. Now the candidates from the left and the right will battle in a run-off election on March 9. It promises to be an ugly 5 weeks of campaigning where one can assume that ARENA wll go very negative, while Sánchez Cerén will be assiduously wooing the supporters of Tony Saca to get just the few percent more which the FMLN needs to retain the presidency. At this moment, it seems that the odds are stacked heavily against ARENA and Quijano. I spent today observing El Salvador's presidential elections at various voting centers in the municipality of Tonacatapeque, outside of San Salvador. At all of these centers, voting ran very smoothly and peacefully without noticeable obstacles for any citizen who wanted to exercise his or her right to vote. Candidaturas%Votos49.07%38.87%11.39% Tony Saca has already conceded defeat, asserting that he was not able to overcome the two party polarization of the country. Still, he will hope to negotiate something in return for casting his support for one candidate or ther other. Sanchez Ceren is so close to 50% that the FMLN may not have any reason to negotiate. Watch updated poll results here.